There are 2 cat videos tagged with santa-claus. You better watch out, you better not cry! You better not pout I’m telling you why: Santa Cat is coming to town! Yes, here we see an adorable feline walking around on the couch rocking a Santa Claus outfit, with the angle making him appear to be walking on only two legs. You better watch out, you better not cry! You better not pout I’m telling you why: Santa Cat is coming to town! 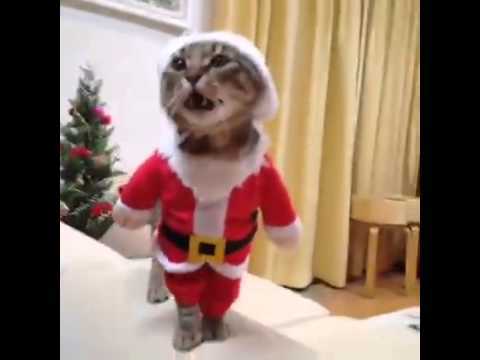 Yes, here we see an adorable feline walking around on the couch rocking a Santa Claus outfit, with the angle making him appear to be walking on only two legs.